This film stars Janet Leigh (‘Psycho‘) and DeForest Kelley (Bones from ‘Star Trek‘) along with a few others who are trying to survive a mutated group of rabbits. Well, not really a group, but more like thousands of killer rabbits. We haven’t been so scared of rabbits since ‘Monty Python’s Holy Grail‘ movie or lack thereof. The dialogue, script, and even performances by these veteran actors are laugh worthy, but it’s not their fault. They’re in a killer rabbit movie that plays out like ‘Tremors‘ with Kevin Bacon. Luckily Scream Factory gave us a fantastic video and audio transfer with some excellent bonus features, which are listed out below. 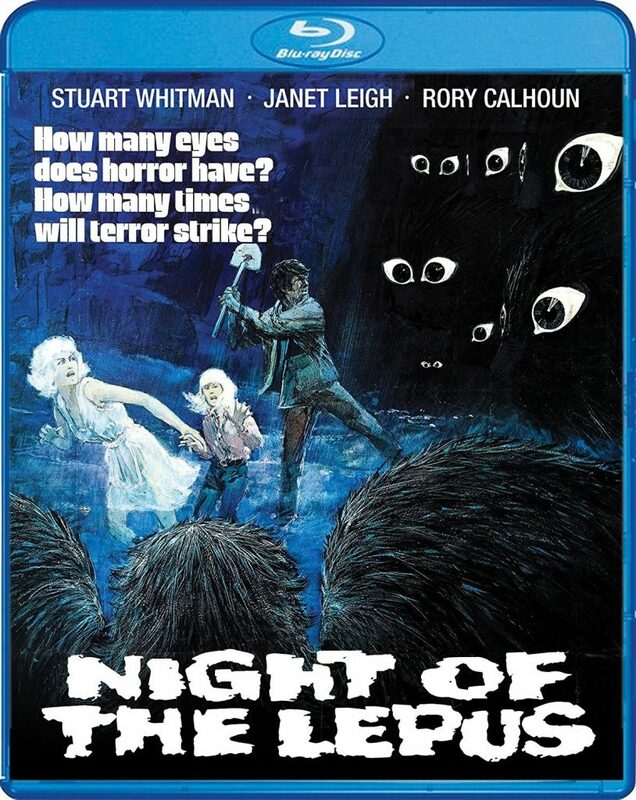 ‘Night of the Lepus‘ is still a fun-as-hell movie despite at how bad it is. This is true cult status. Stuart Whitman (Eaten Alive), Janet Leigh (Psycho), Rory Calhoun (Motel Hell) and DeForest Kelley (Star Trek) are among the intrepid humans facing off against the behemoth bunnies, using guns, flames, dynamite and anything else in their grasp to battle their oversized, hungry tormentors. This entry was posted on Monday, October 8th, 2018 at 2:04 pm	and is filed under Film, News, Podcast. You can follow any responses to this entry through the RSS 2.0 feed. You can skip to the end and leave a response. Pinging is currently not allowed. « My Bloody Podcast #23 – ‘Child’s Play’!